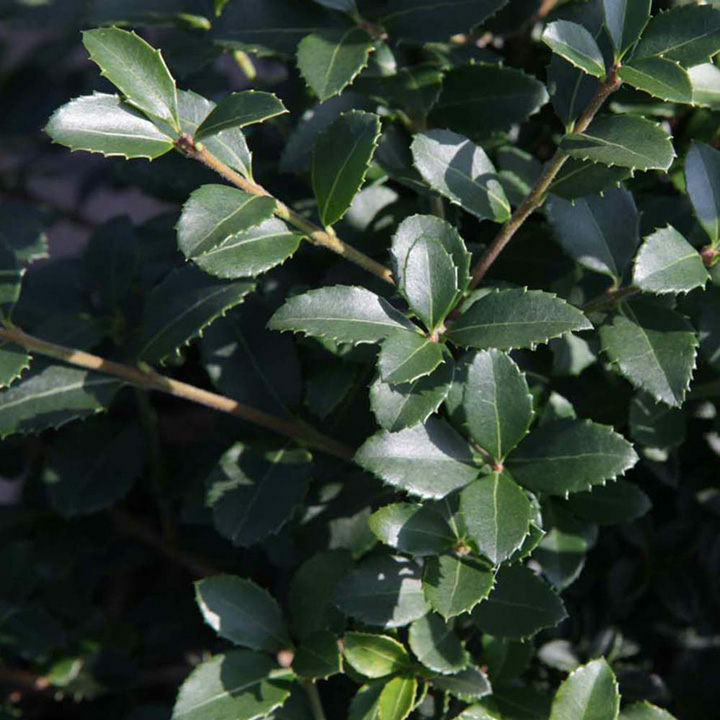 Osmanthus heterophyllus is an evergreen shrub with glossy, dark green, sharply toothed holly-like leaves. Clusters of small, fragrant white flowers are produced from early autumn. Height 90-100cm. Supplied in a 7.5-10 litre pot.